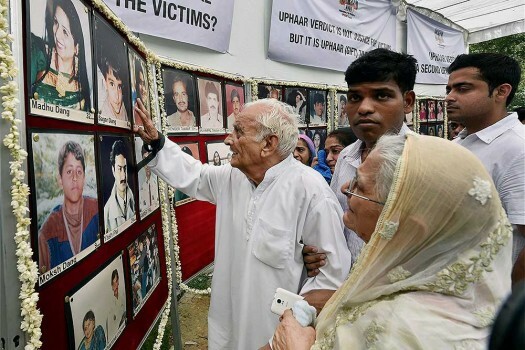 Relatives looking at the photographs of Uphaar fire tragedy victims near the cinema hall on the occasion of 19th anniversary of the tragedy, in New Delhi. 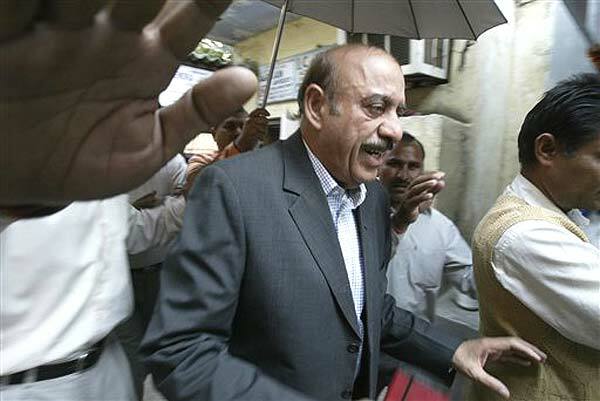 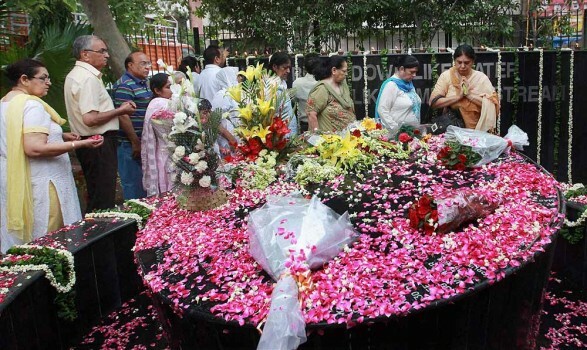 A man paying tribute to Uphaar tragedy victims on the 19th anniversary of the incident, in New Delhi. 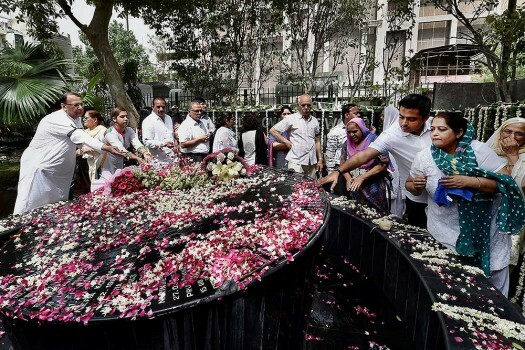 Family members of victims of Uphaar tragedy paying tribute at a memorial on the 19th anniversary of the incident, in New Delhi. 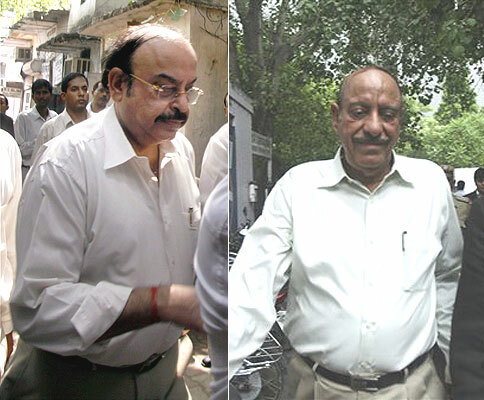 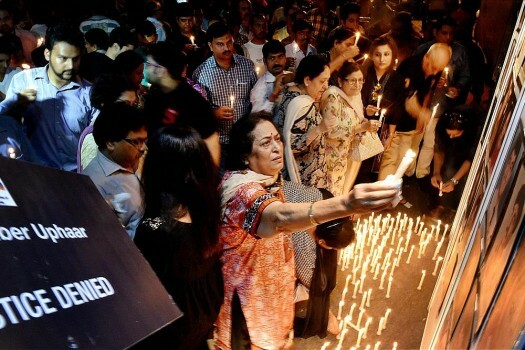 Uphaar fire tragedy victims along with supporters participate in a candle light march demanding for justice, in New Delhi. 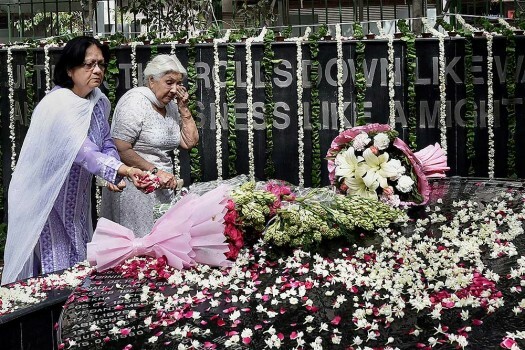 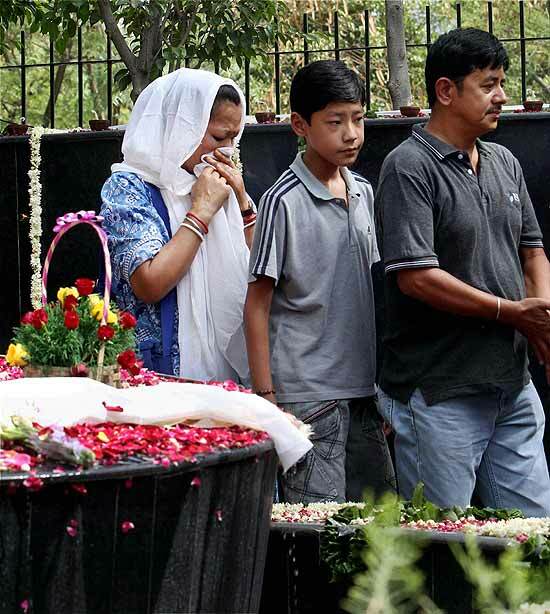 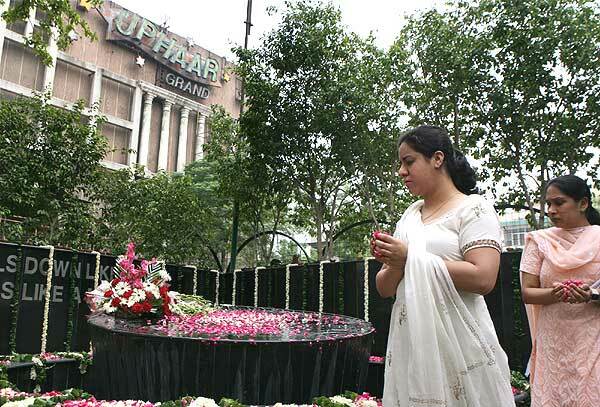 Relatives paying tributes to Uphaar fire tragedy victims at a memorial near the cinema hall on the occasion of 16th anniversary of the tragedy, in New Delhi. 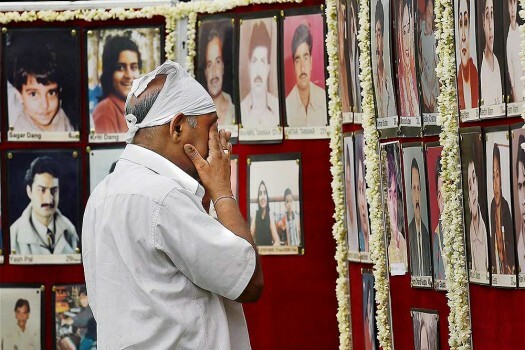 A relative paying tributes to Uphaar fire tragedy victims at a memorial during an event to commemorate the 15th anniversary of the mishap, in New Delhi. 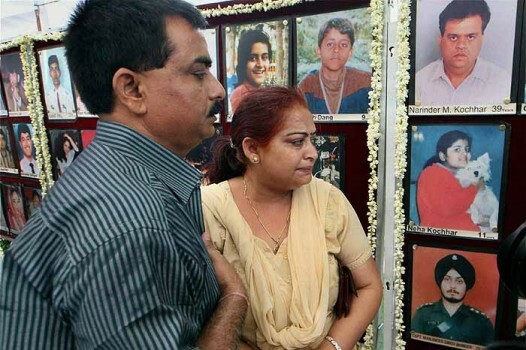 Relatives look at the photographs of Uphaar fire tragedy victims near the cinema hall on the occasion of 14th anniversary of the tragedy, in New Delhi. 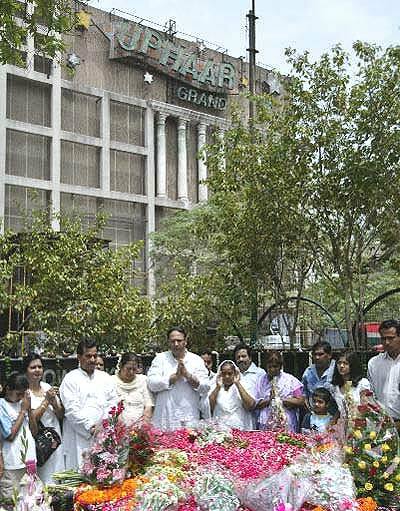 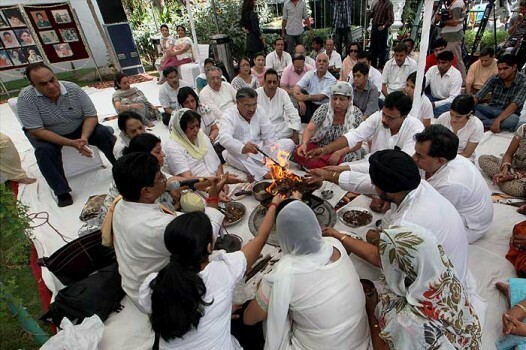 Relatives of Uphaar fire tragedy victims perform prayers near the theater to pay tribute to the departed souls on the occasion of the 13th anniversary of the mishap, in New Delhi. 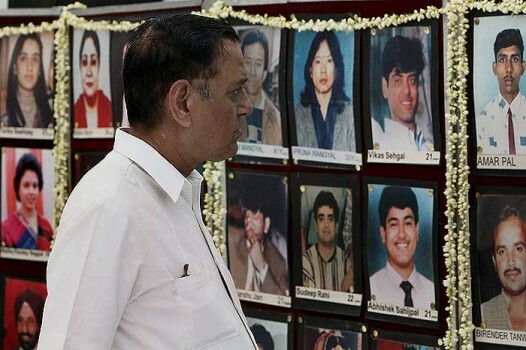 A relative looks at the photographs of the Uphaar fire tragedy victims near the cinema hall, in New Delhi, on the occasion of the 13th anniversary of the tragedy.